Whether your chili of choice is of the classic T-Rex or Vegetarian variety, you’re bound to wind up with a leftover bowl or two. Let’s make something fabulous out of the extras! Here are some tasty suggestions on how to jazz up leftover chili to make the second helping as exciting as the first! 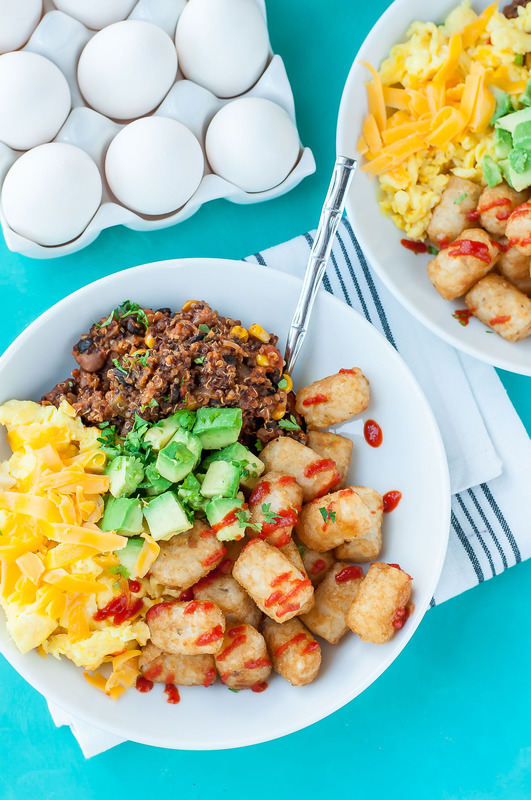 Brunch like a champion with a chili-spiked breakfast bowl featuring fluffy scrambled eggs, melted cheese, crispy tater tots and a mountain of toppings. I make these with my vegetarian quinoa chili all the time as a protein-packed weekend brunch! Use whatever you have on hand for an ultra-tasty way to start your day! Tis tradition! Use your favorite frankfurter, turkey dog, or snag a vegetarian-friendly dog; they’re actually really tasty! Pile on the chili and even some cheese for good measure. I like mine with a dollop of guacamole on top. 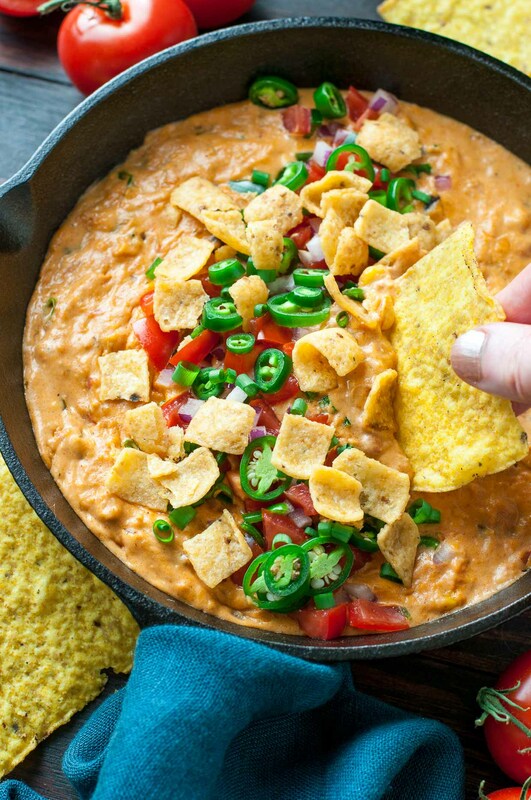 One of my all-time favorite uses for extra chili is to make an easy peasy chili cheese dip the following day. 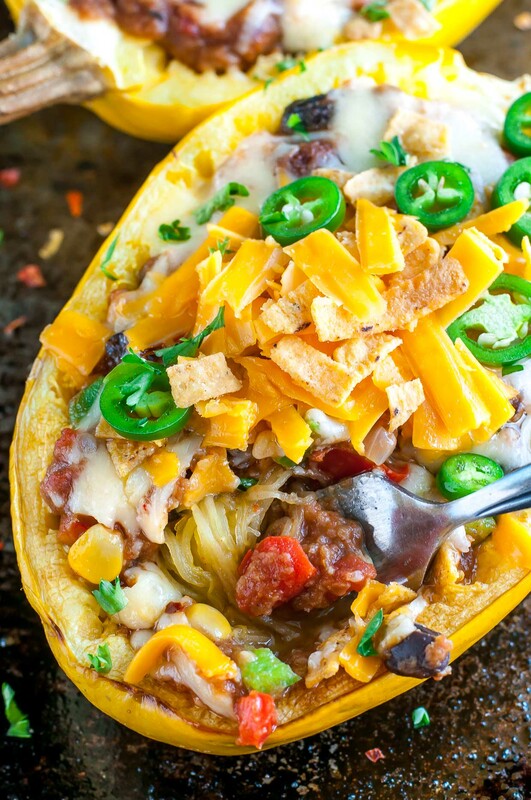 You can do this with any type of chili (it even works with vegan chili – woot!) and can make as much or as little as you’d like. This one is particularly awesome for all your game day shenanigans! 4. Chili Cheese Fries. Because, duh. Like I mentioned earlier, chili + potatoes = pure unadulterated deliciousness. It’s science. Heat up leftover chili and pour it over freshly baked french fries or tater tots. Top with grated cheese and pop back in the oven to melt for a few minutes, then pile on all your favorite toppings! I love adding pico de gallo. This is my solution to just about every leftover situation known to man. Leftovers from taco night? Stuff it in a spud! Didn’t finish breakfast? Stuff it in spud! Craving last night’s chili? Stuff it in a spud! 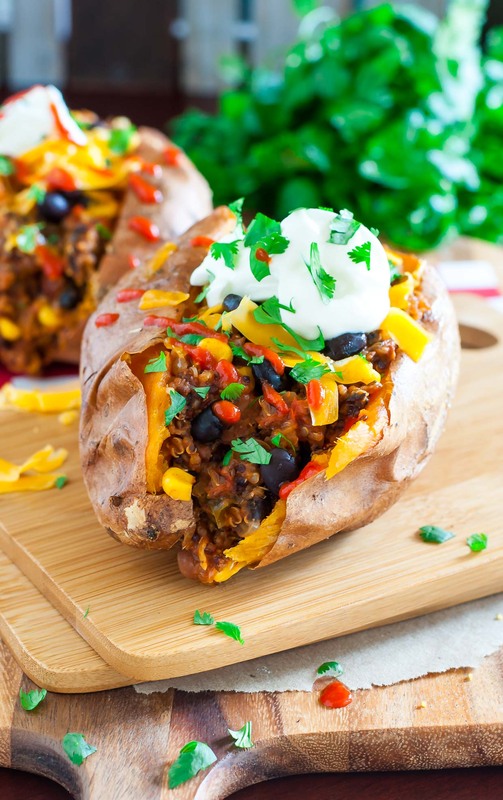 Chili Stuffed Sweet Potatoes are particularly glorious. You’re welcome. No sweet potatoes handy? Try a russet potato or you can even stuff your chili into a roasted spaghetti squash for the most epic of re-purposed recipes. 6. Turn it into a Sloppy Joe! Bonus points if you make your bun out of cornbread. Cue excessive swooning. Dear Jenn, we had chili for lunch yesterday. It is packed for work lunch as usual but you have just given me completely new perspective. The only “problem” I have is which option to use 🙂 Thank you so very much !